Mexico waited anxiously on Thursday for signs of life in the rubble of collapsed buildings as a desperate search for survivors of a devastating earthquake entered a third day. Volunteer rescue workers who have been seeking survivors since Tuesday fought off growing fatigue to continue removing tons of rubble at dozens of flattened buildings in the capital and across several central states. But time is running out. Experts say the average survival time in such conditions and depending on injuries is 72 hours. 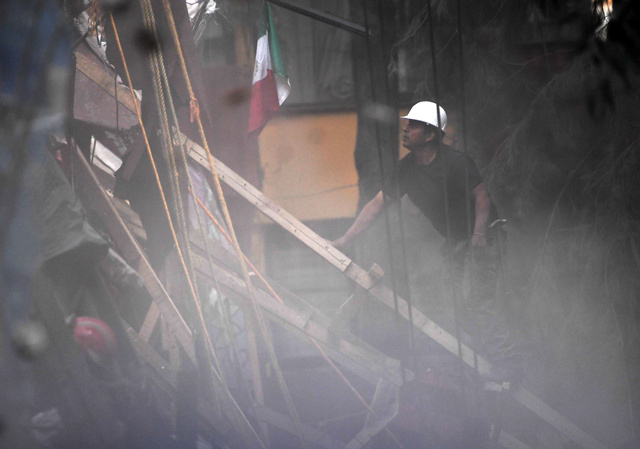 Some 200 people were still reported missing in Mexico City and feared trapped in the rubble. 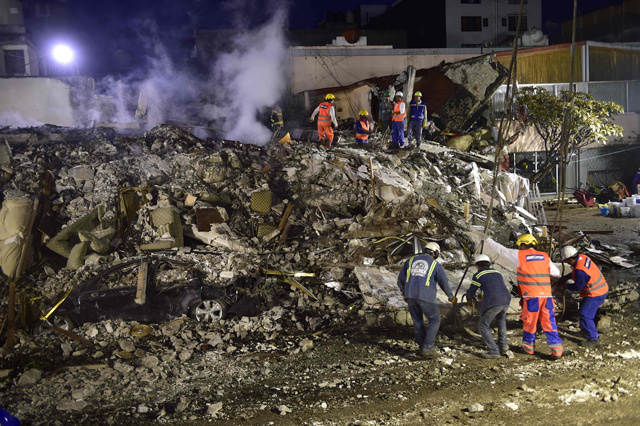 In the central neighborhood of Roma, rescue workers scrambled to locate 23 people believed to be in the wreckage of a collapsed seven-storey office building. They have already pulled 28 survivors from the mountain of rubble. No deaths have been reported at the site so far. Aaron Flores's sister Karen and friend Paulino Estrada were both trapped inside. Estrada has managed to contact his family by cell phone, even making a video call. But there has been no news from Karen Flores. 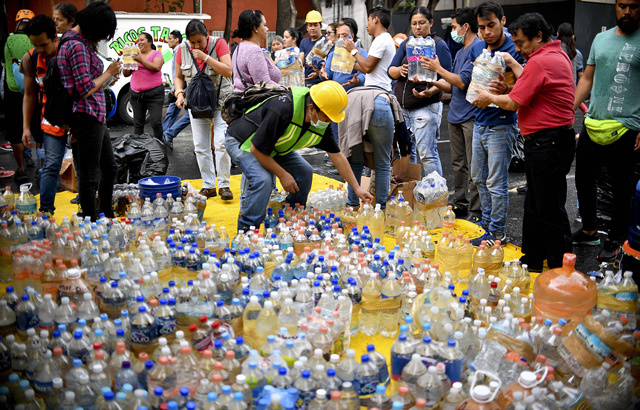 Authorities put the overall death toll at 137 people in Mexico City, 73 in Morelos state, 43 in Puebla, 13 in Mexico state, five in Guerrero and one in Oaxaca. However, the situation on the ground was chaotic, and the figures were rising - and sometimes falling. Authorities denied Thursday that the girl existed. Rescue workers had told journalists they were certain a girl was trapped beneath the rubble, but the different versions of the story varied widely. The story had made headlines around the world after the quake, injecting a ray of hope into a tragedy that killed 19 children and six adults at the school. But real stories of hope continued to emerge from ruined buildings across the city, where more than 10,000 people lost their lives in a devastating earthquake in 1985. In the north of the city, a man who had been trapped for 26 hours and a 90-year-old woman were pulled alive from the rubble. "The rescue and support effort in the buildings that collapsed is still on. We are not suspending it. 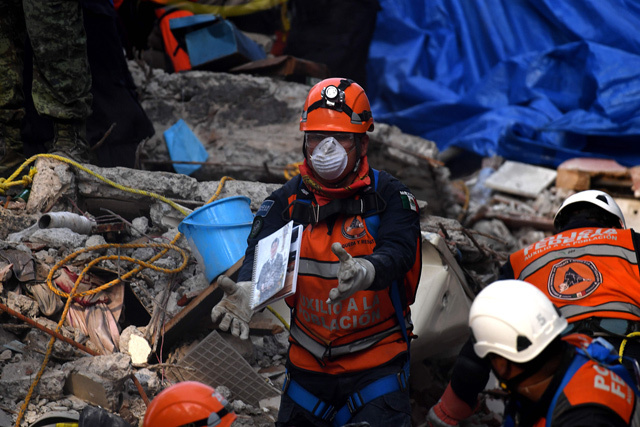 We have to keep up the rescue effort to keep finding survivors in the rubble," he said during a visit to the state of Puebla, where the epicenter was. More than 50 people had been rescued from collapsed buildings in the capital as of late Wednesday, he said. US President Donald Trump called Pena Nieto and offered assistance. A US search-and-rescue team was deployed to Mexico, the American embassy said. Rescue teams have also flown in from Israel, El Salvador and Panama and more were expected from Costa Rica, Ecuador, Honduras, Colombia and Spain. Tuesday's tragedy struck just two hours after Mexico held a national earthquake drill, as it does every year on the 1985 anniversary. A system of quake sensors was set up in 1993 along the Pacific coast, where tremors are more common.